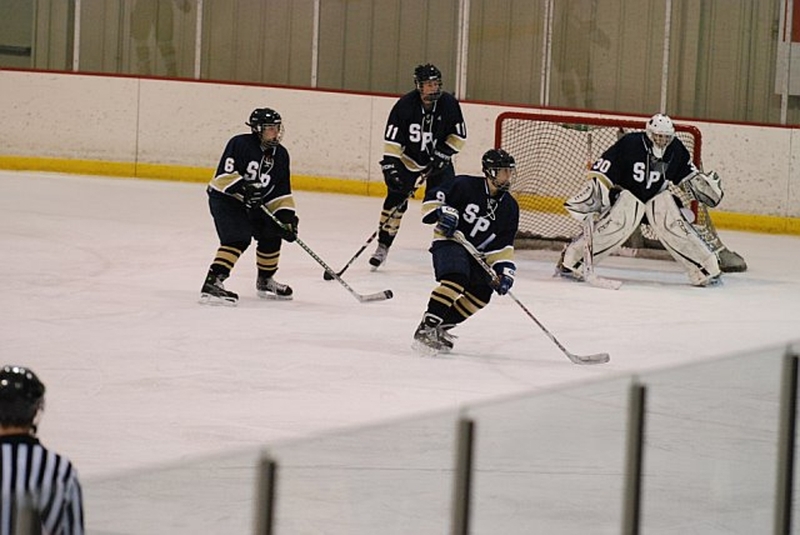 In the latest edition of this rivalry that dates back to at least 1912, the St. Paul Academy and Summit School/Mounds Park Academy Spartans shut out The Blake School 3-0, earning the Academy their first victory over the Bears in what is thought to be over 20 years (currently under investigation by the Spartan Historical Society). A balanced, physical attack, strong special teams, and outstanding goaltending led the Spartans to victory on this Saturday afternoon. Senior goaltender Steven Estep kept the Bears scorers in hibernation, making 40 saves for the Academy, including an eye-popping 21 in the third period. Team scoring leaders, junior wing Wyatt Wenzel (18 points) scored two goals, and senior captain Mike Falvey (15 points) lit the lamp for another as the Spartans won their first Tri-Metro Conference match-up of the season, pushing their overall record to 7-2-1. The Academy will next face the Prairie Centre North Stars on Thursday, 8 January 2009, 7:00PM at Drake Arena, before traveling to Duluth on Saturday to take on The Marshall School, 3:30PM at Mars Lakeview Arena.